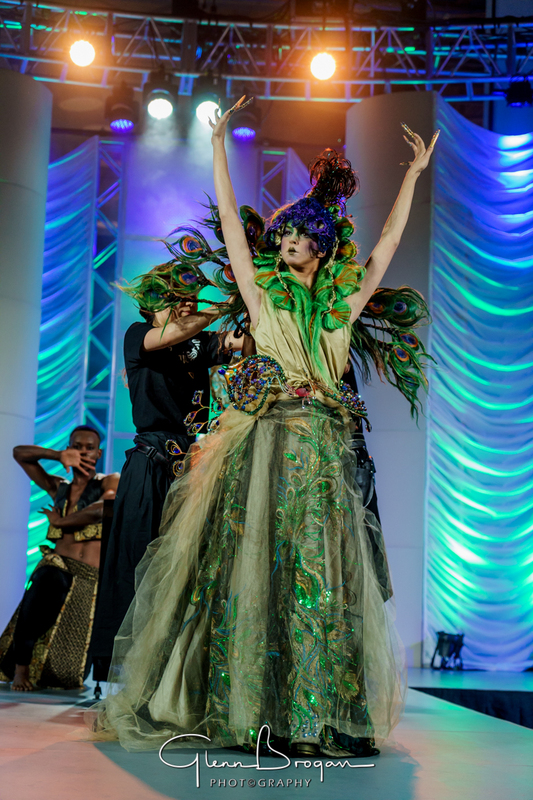 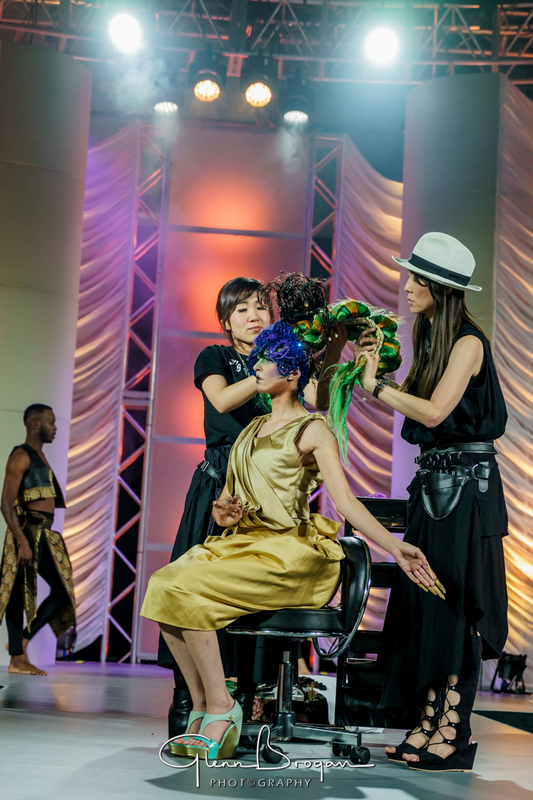 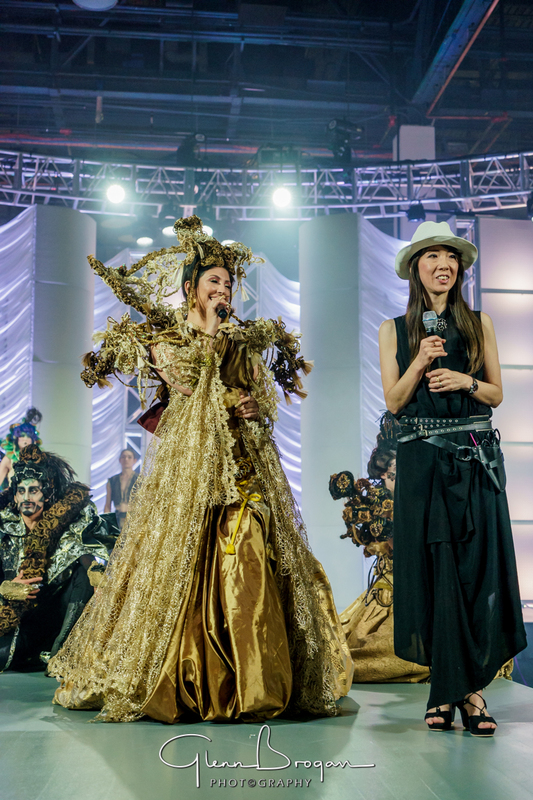 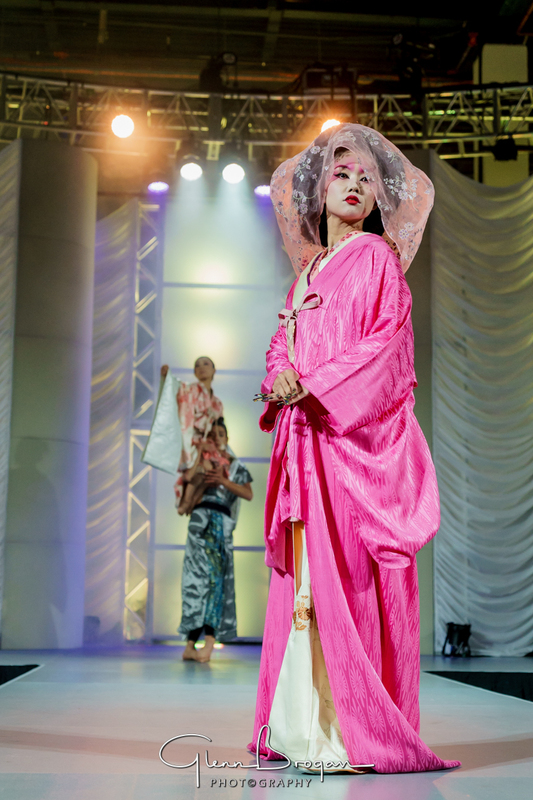 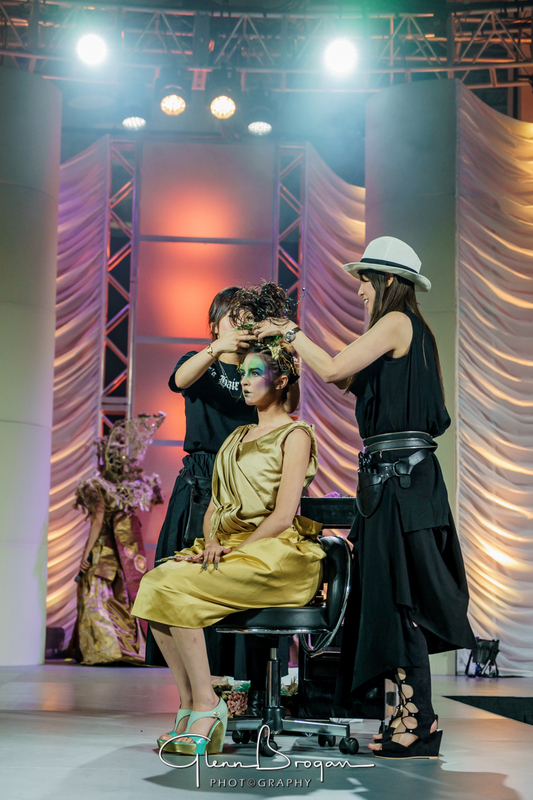 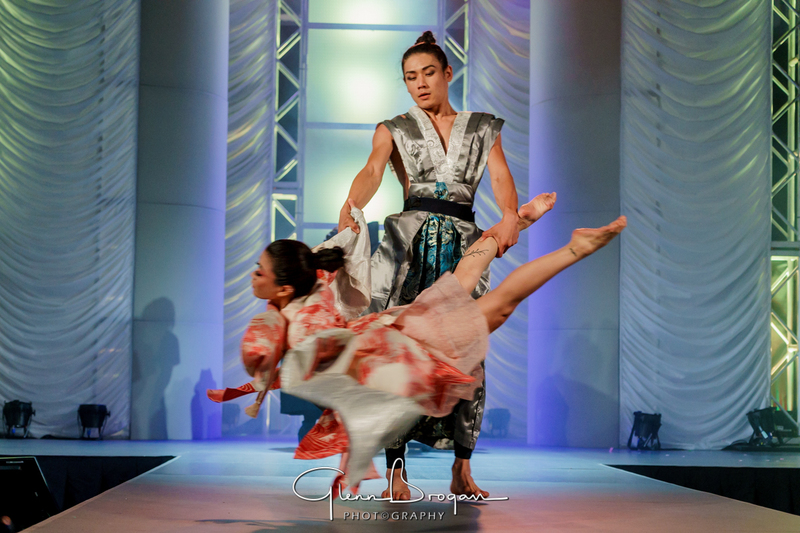 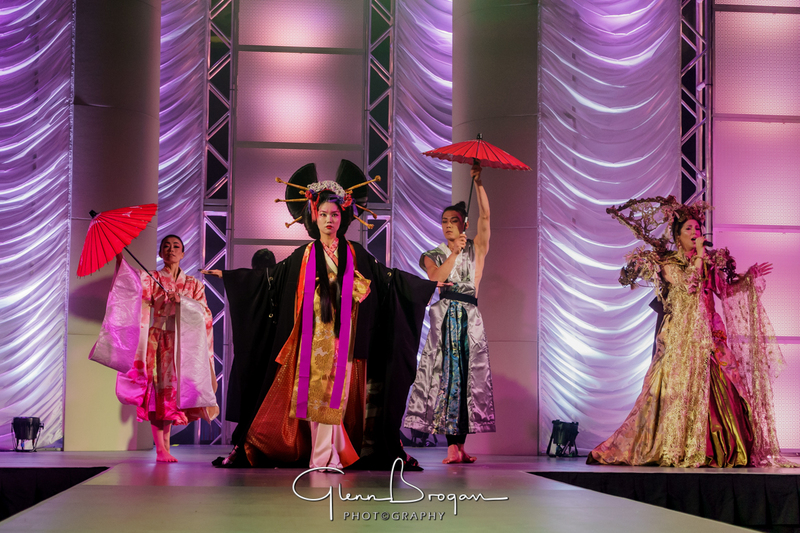 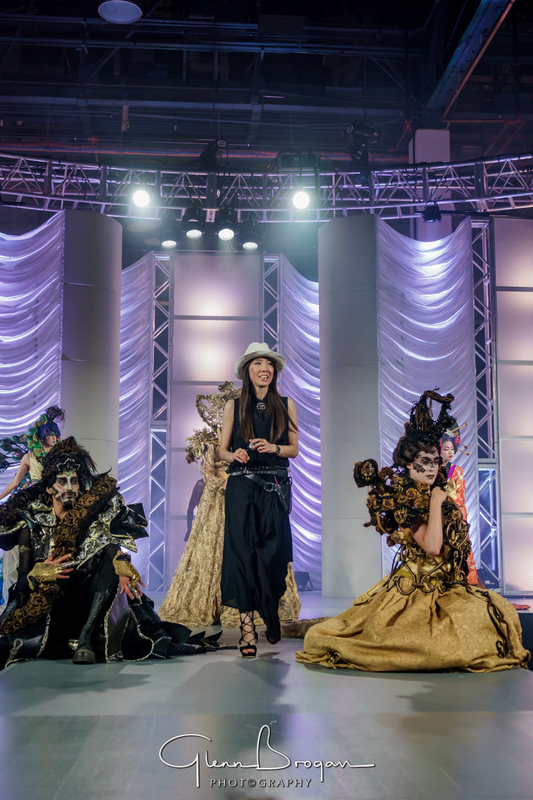 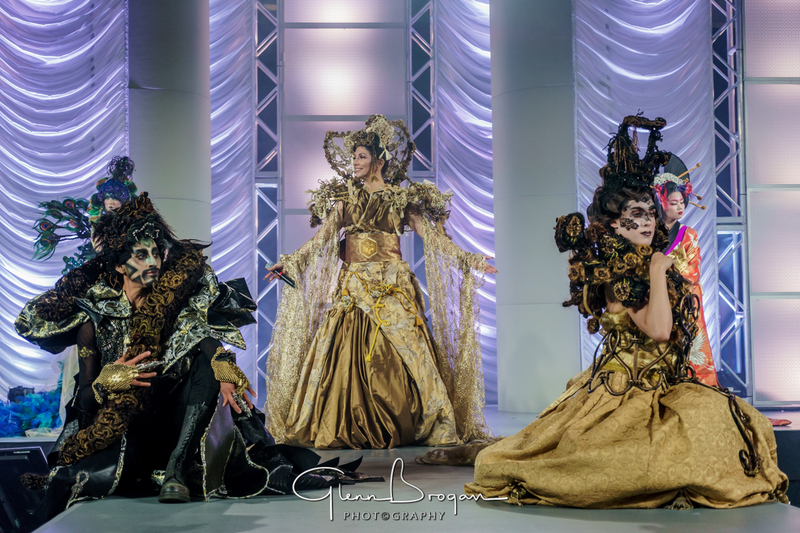 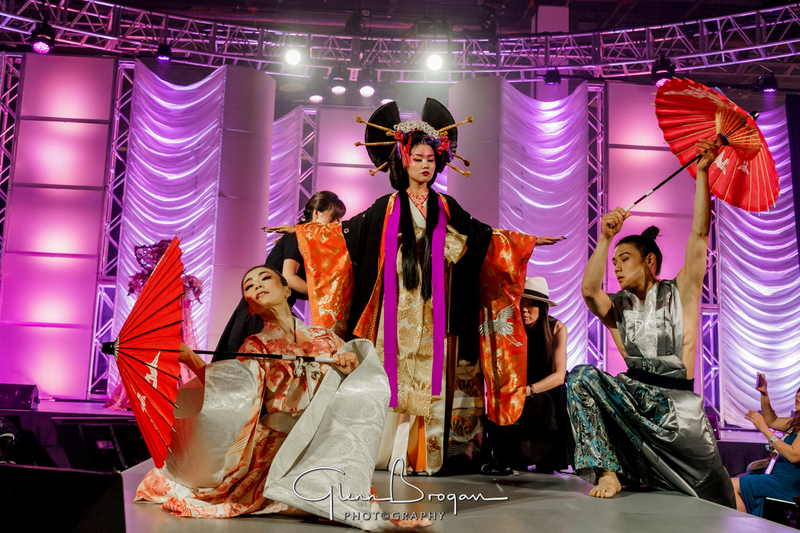 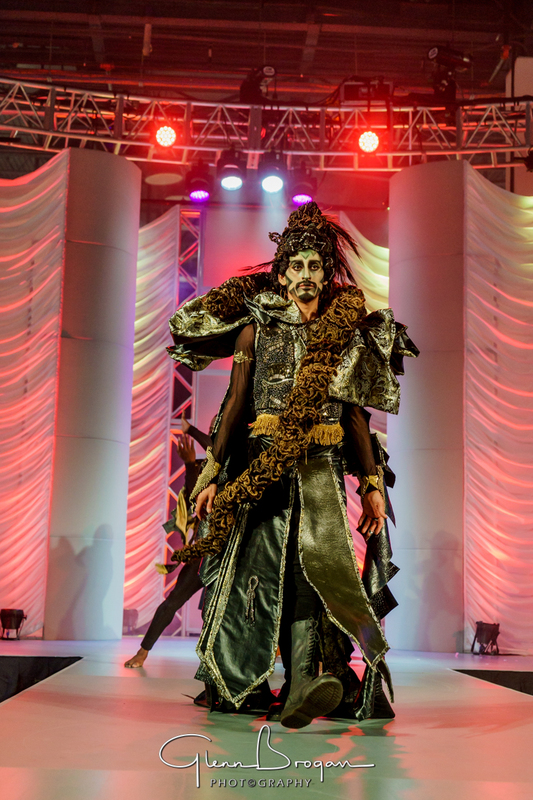 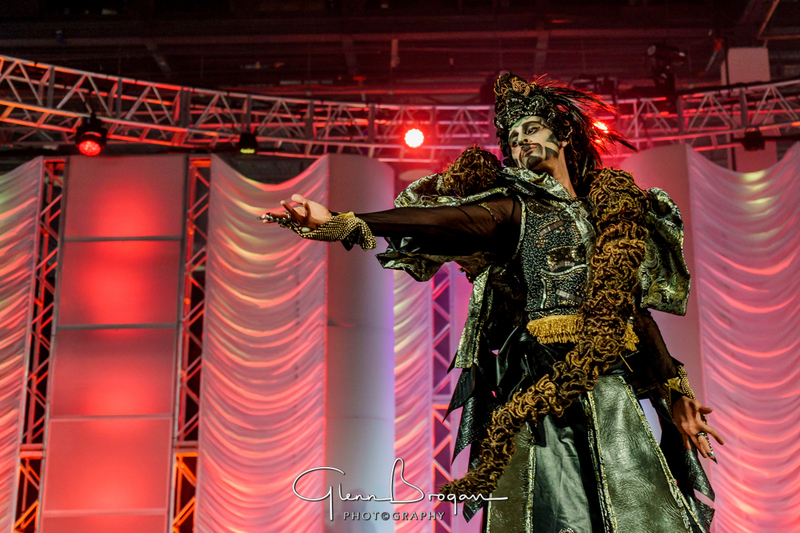 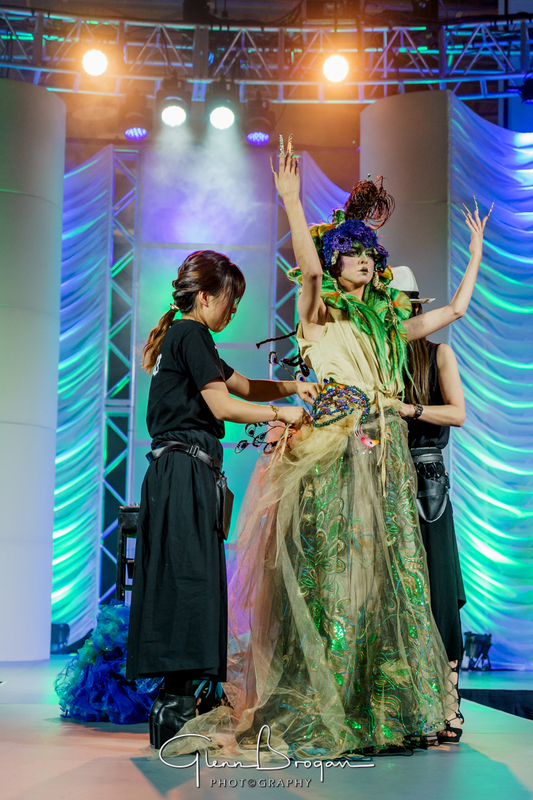 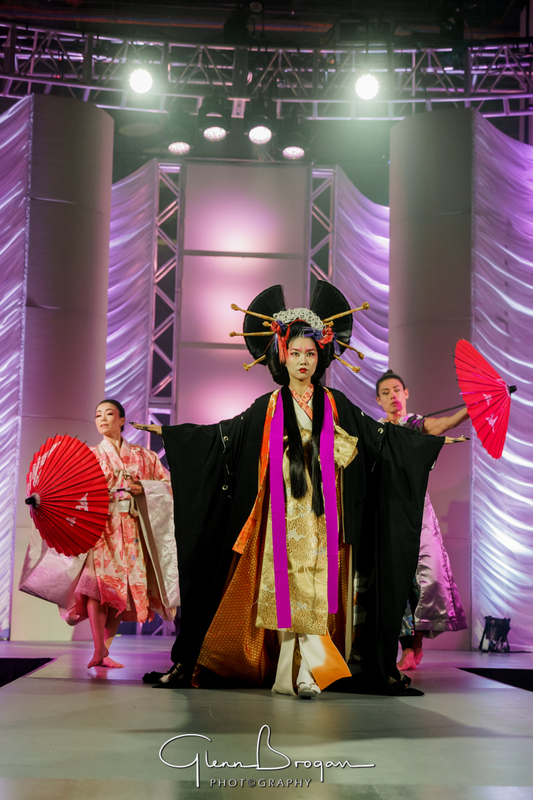 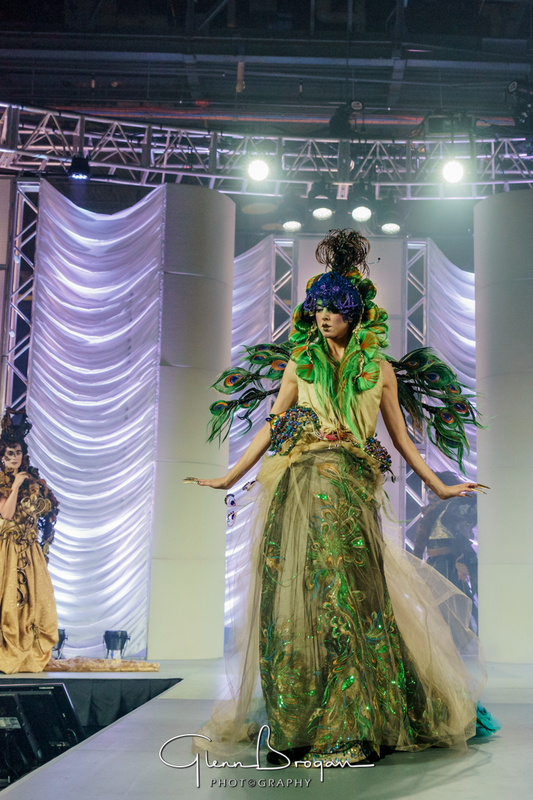 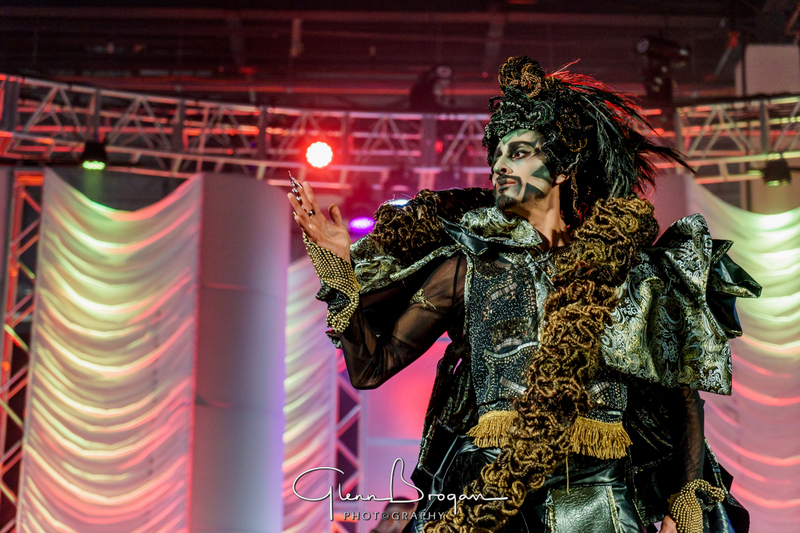 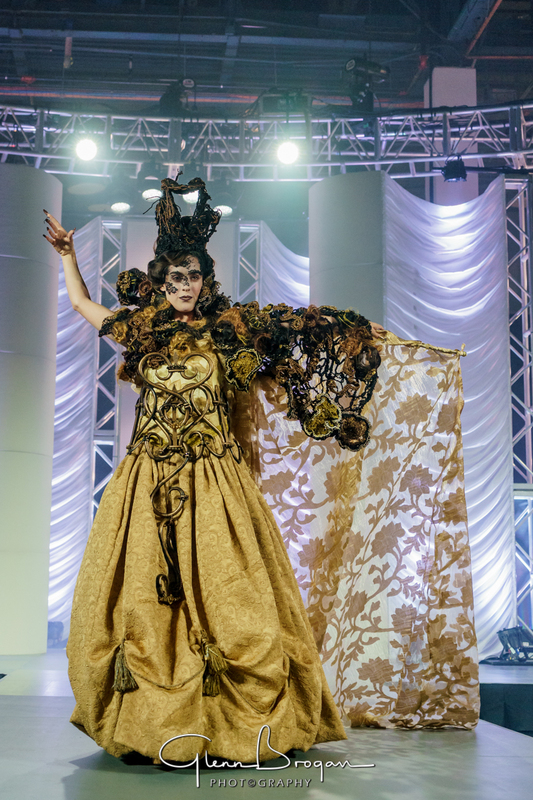 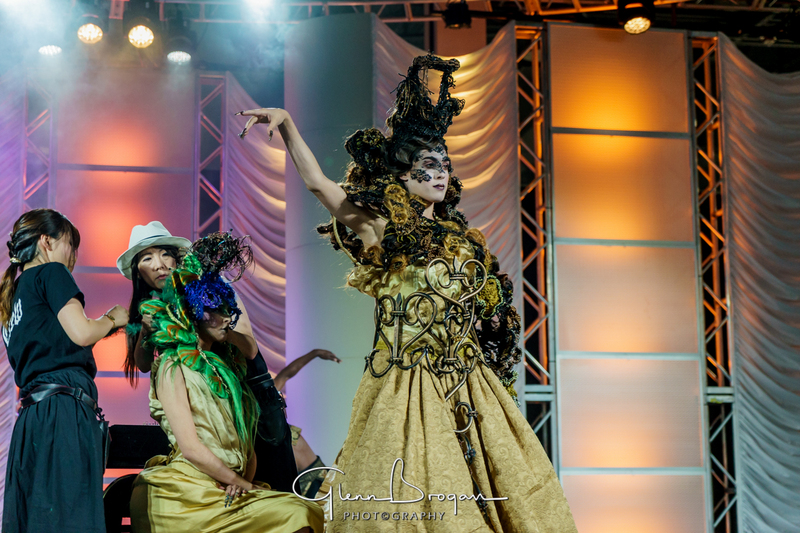 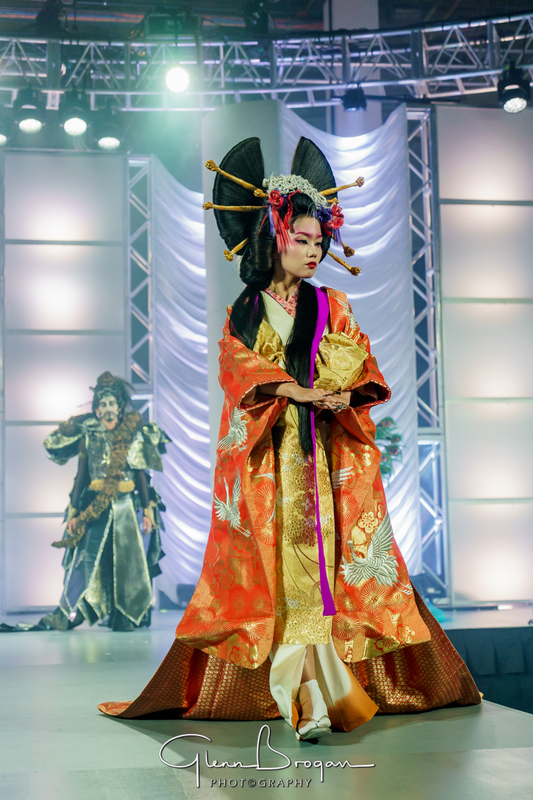 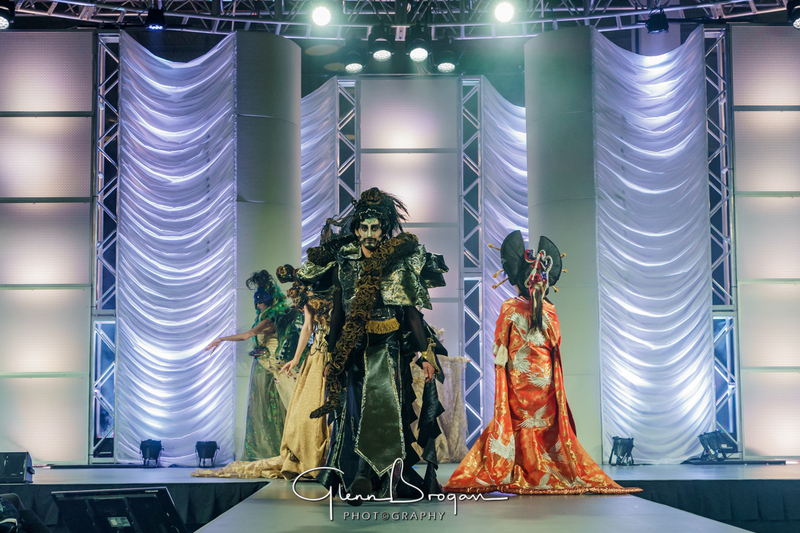 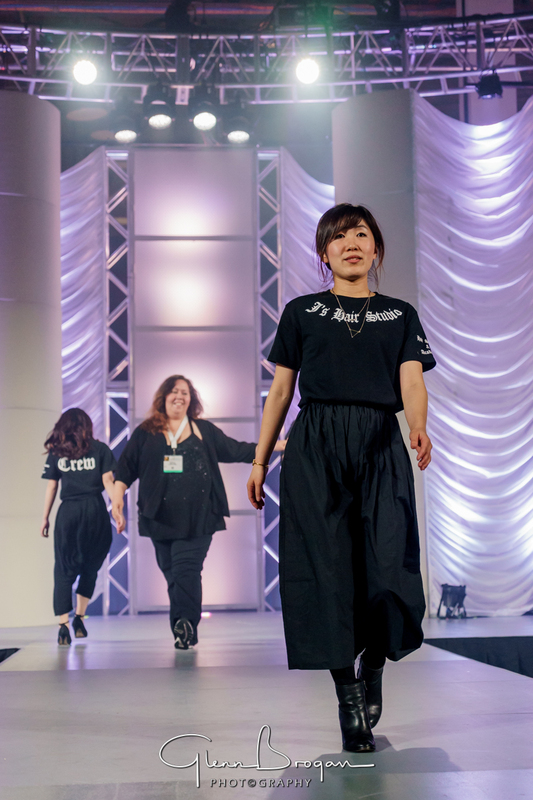 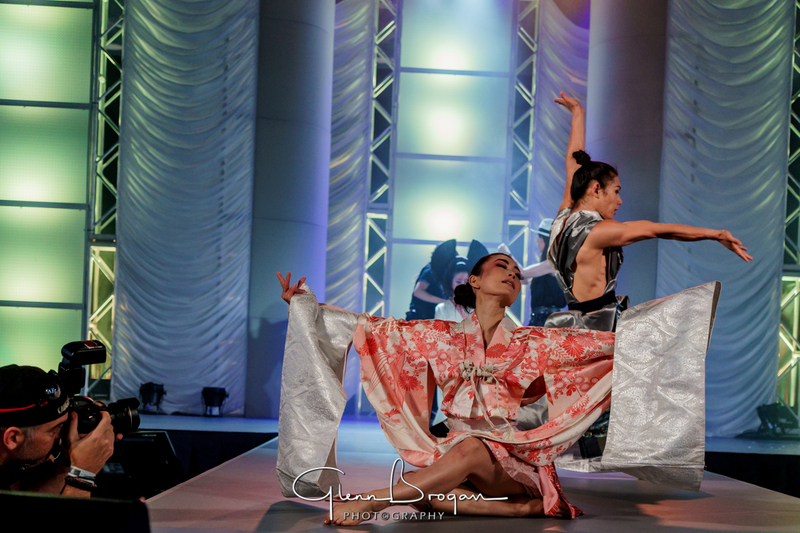 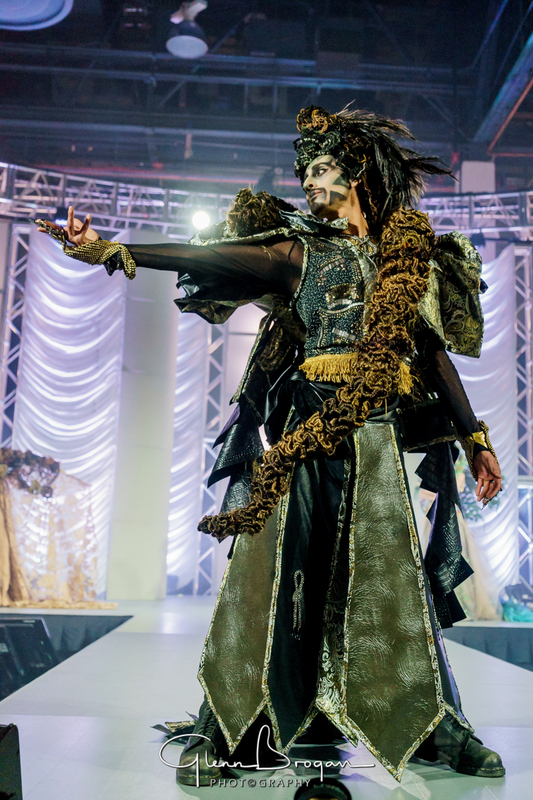 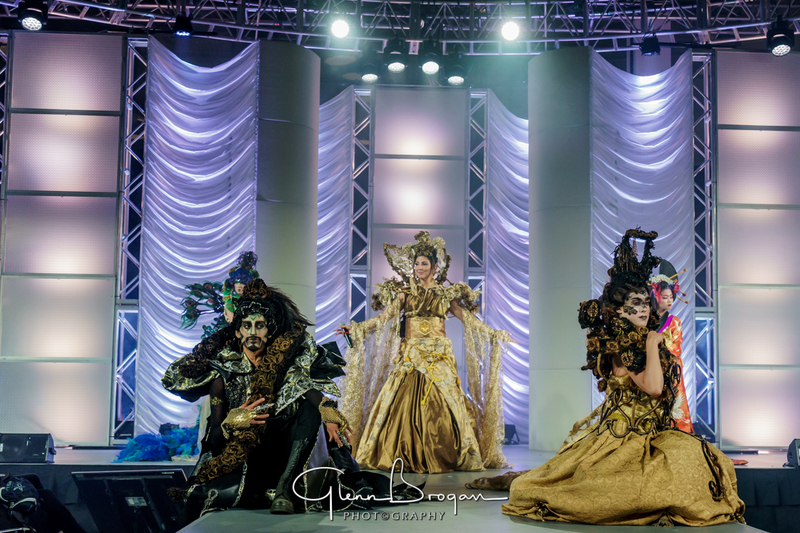 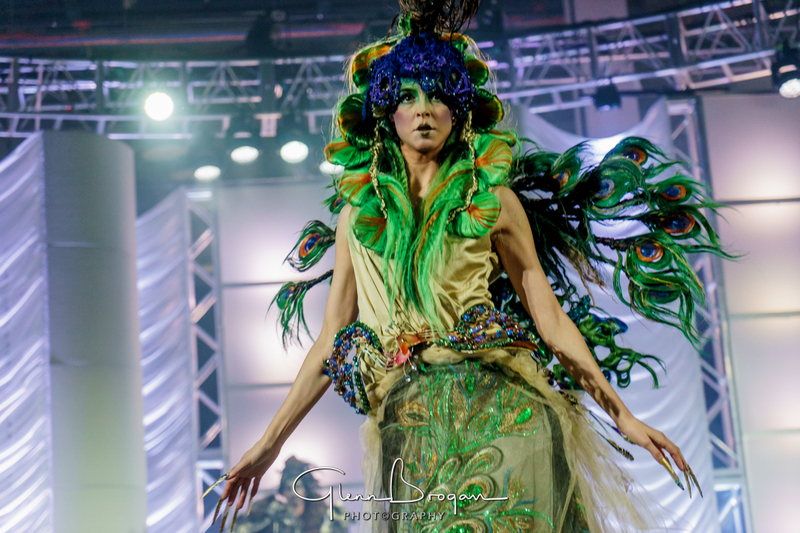 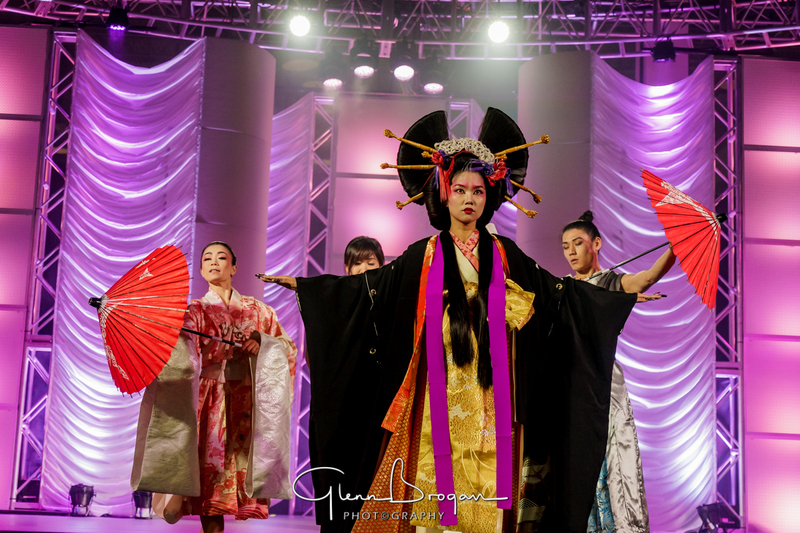 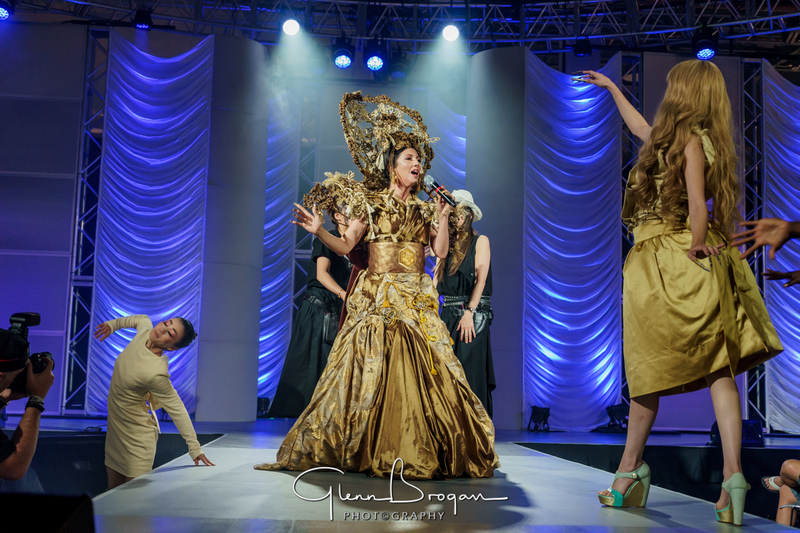 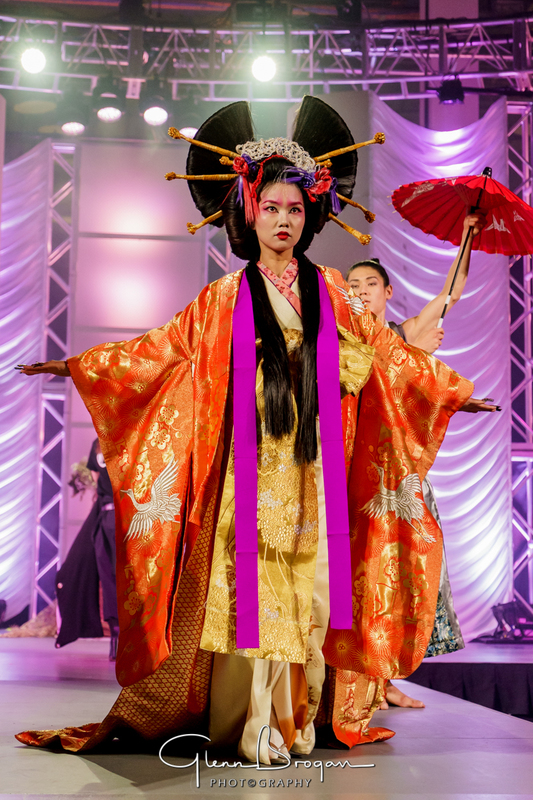 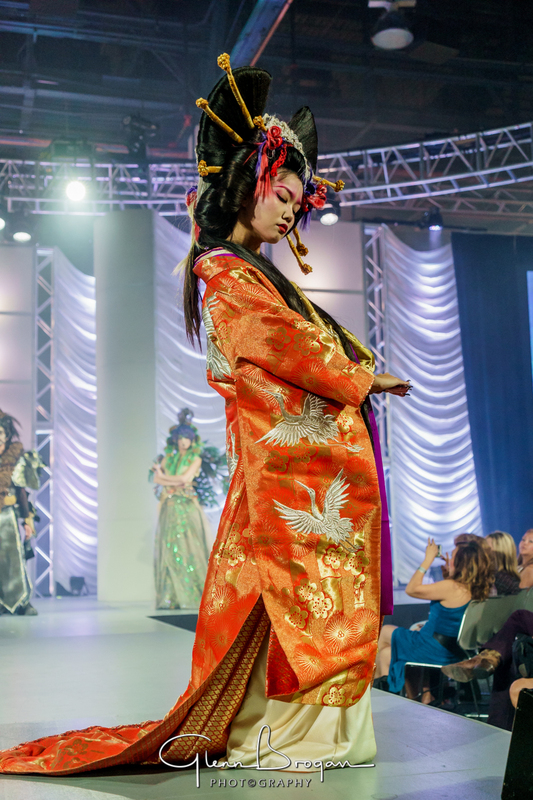 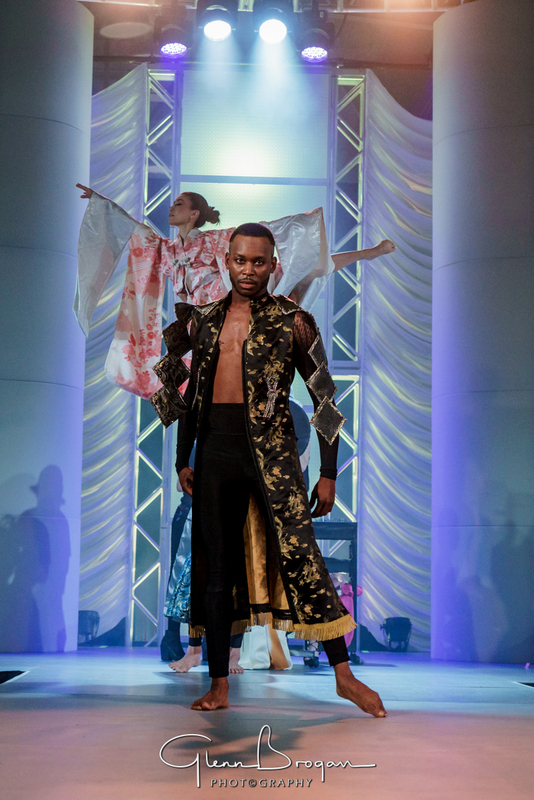 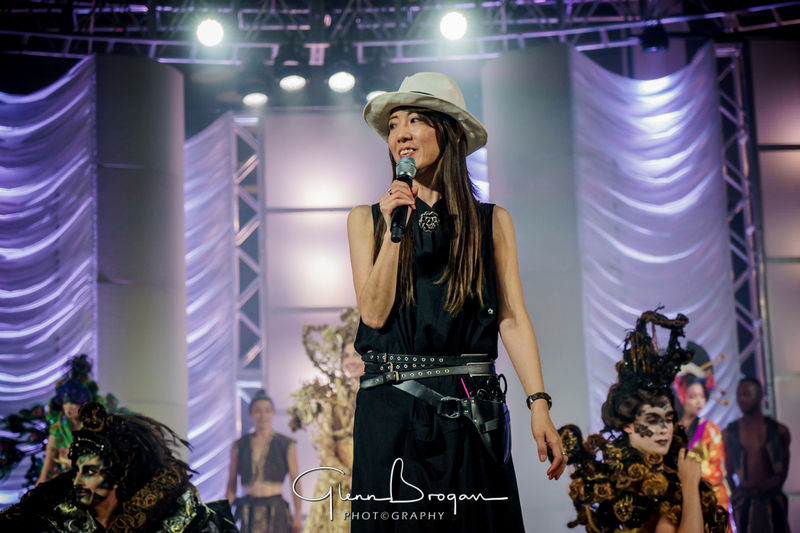 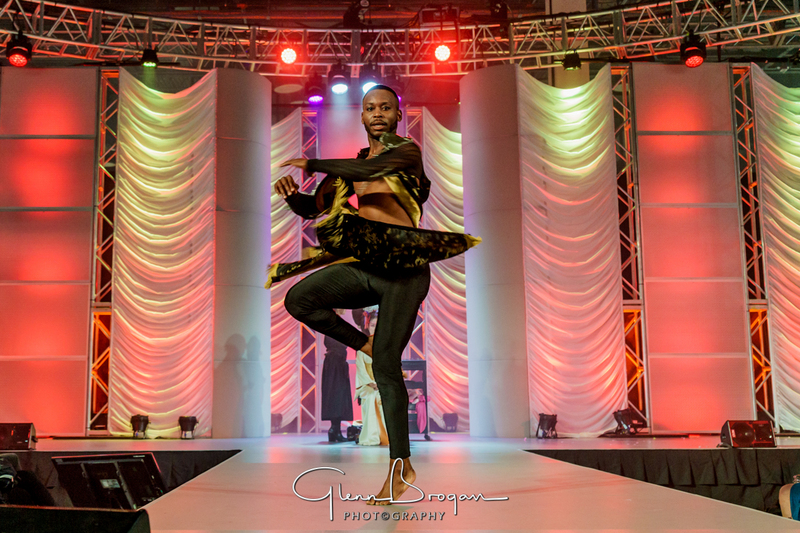 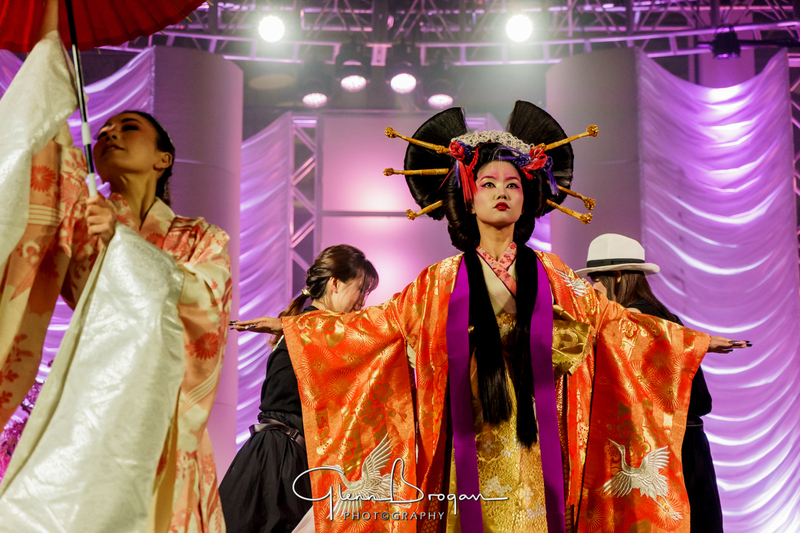 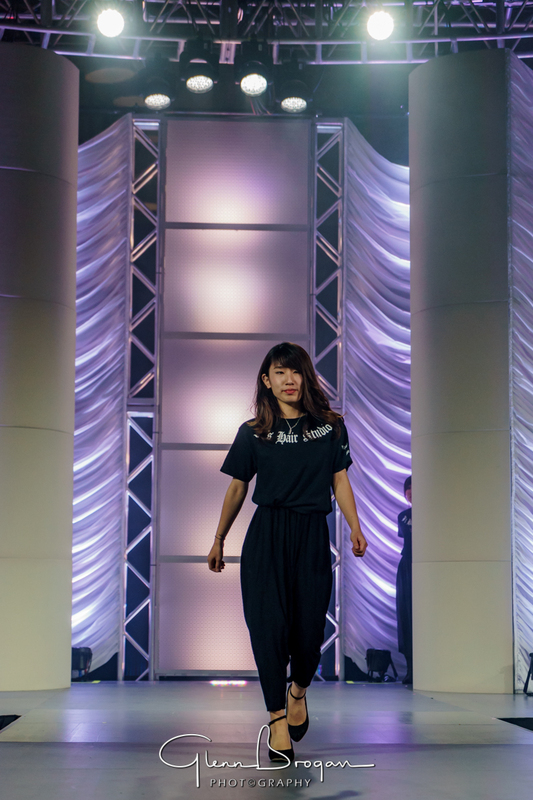 While working at the International Beauty Show (IBS) with Bay Photo Lab, I had the opportunity to photograph a runway meets live hair and fashion styling show put on by Lisa Yamasaki from Japan. 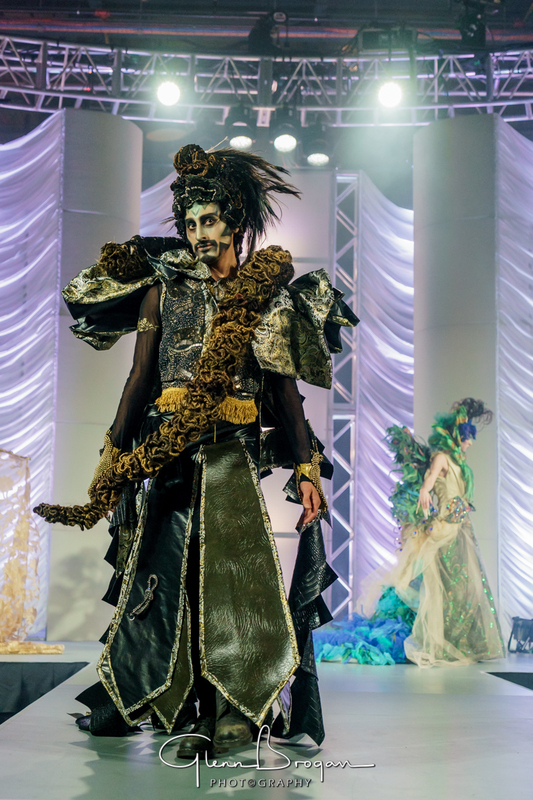 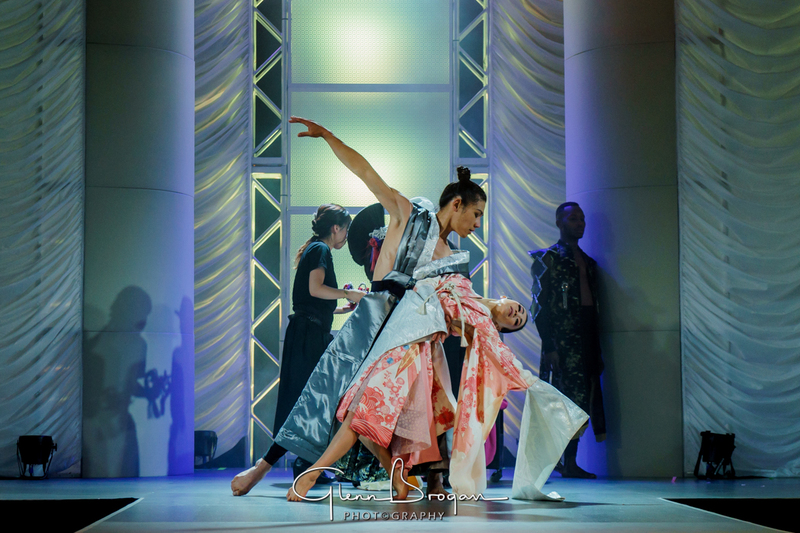 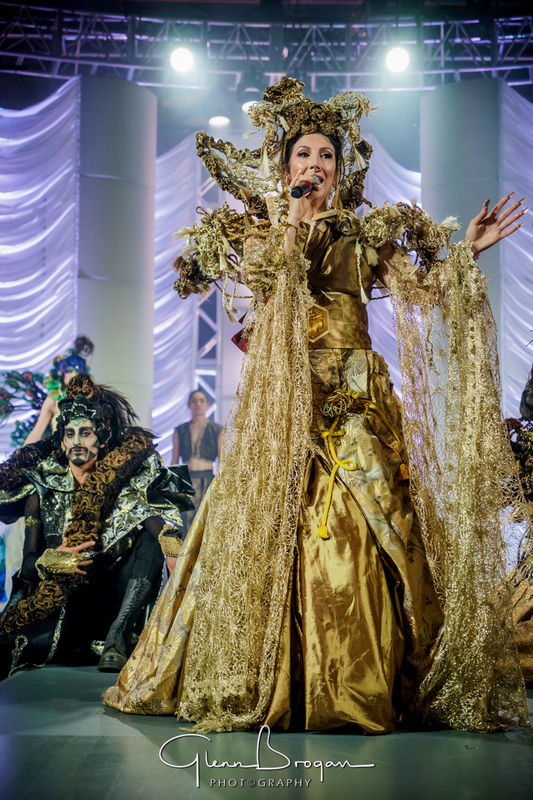 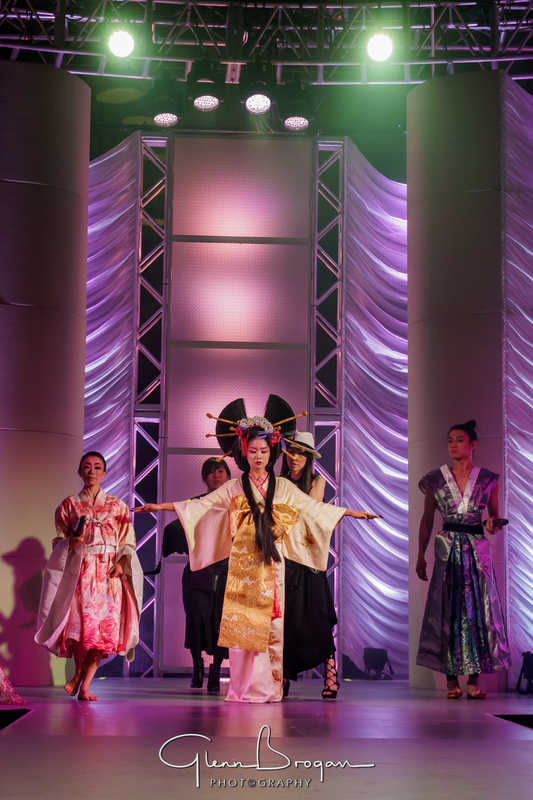 This show incorporated traditional Japanese stylistic elements and pushed them in a daring, innovative new direction, giving fresh life for a new generation. 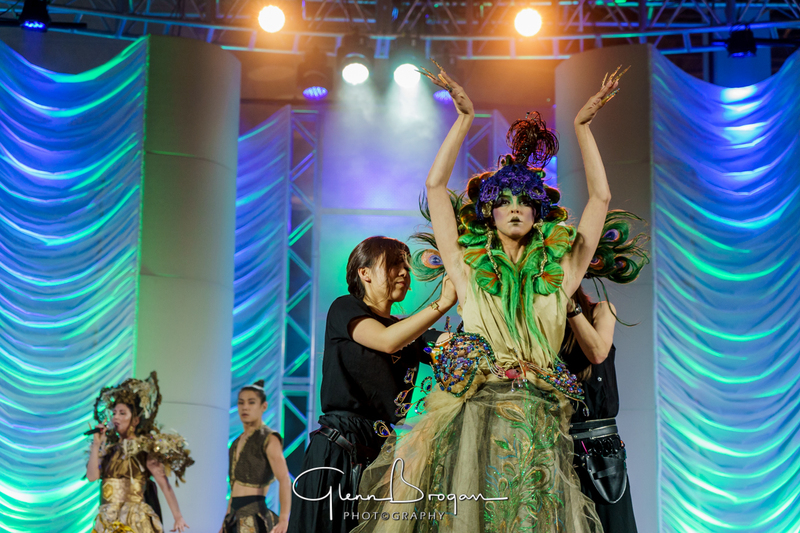 Combining to the hair and fashion styling, several entertainers from Cirque du Soliel including an amazing singer (Nitza) intermixed and created a stellar performance within the already mesmerizing presentation. 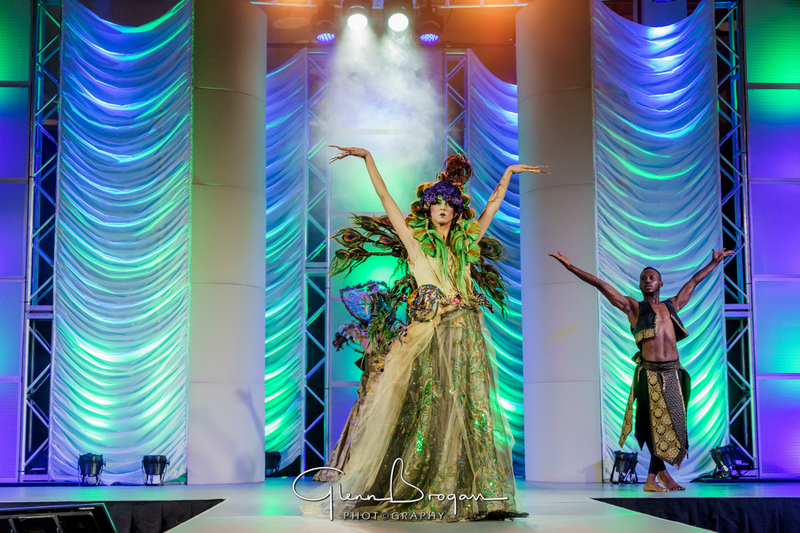 Lisa’s concept demonstrated a mutation that brought a natural individual into something not only uniquely beautiful, but took her philosophy one step further, suggesting that empowerment of the individual and the addition of beauty to our lives could work to transform our world to a peaceful and majestic place. 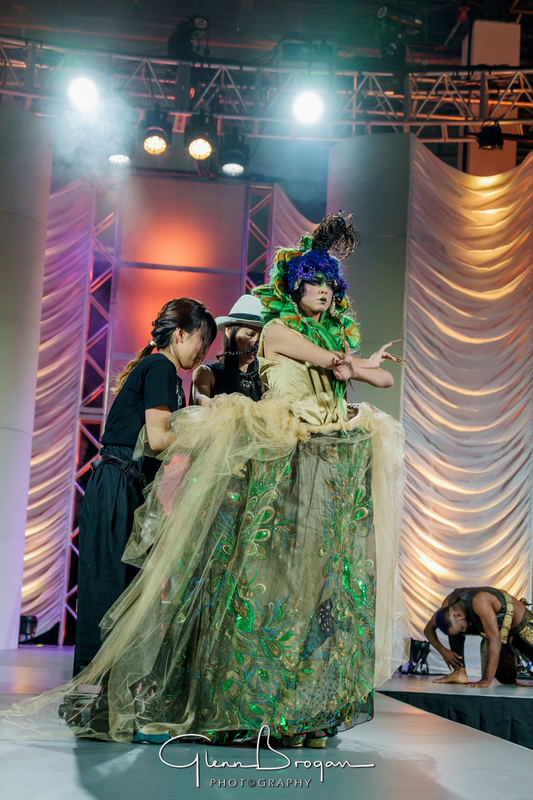 The transformative process added layers of complexity to the model. 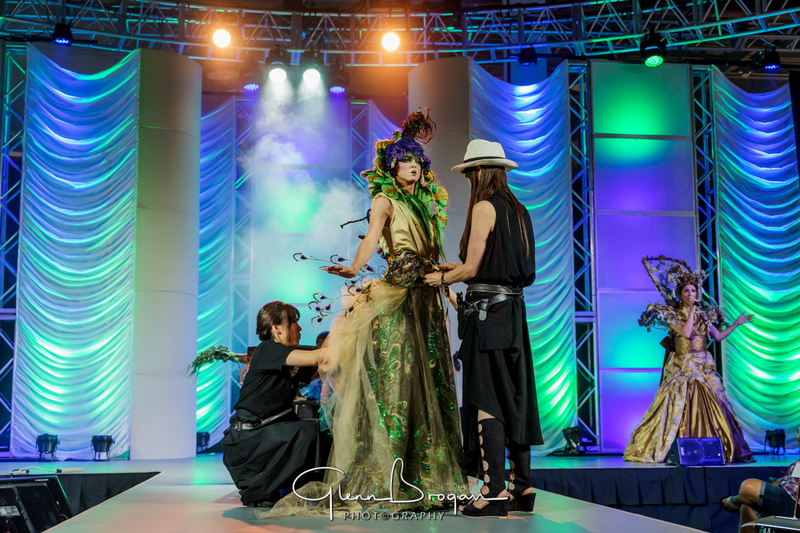 The hair and wardrobe started off simply and both were added to and embellished with layers of beautiful fabrics and other touches that created a masterpiece in the finished product. 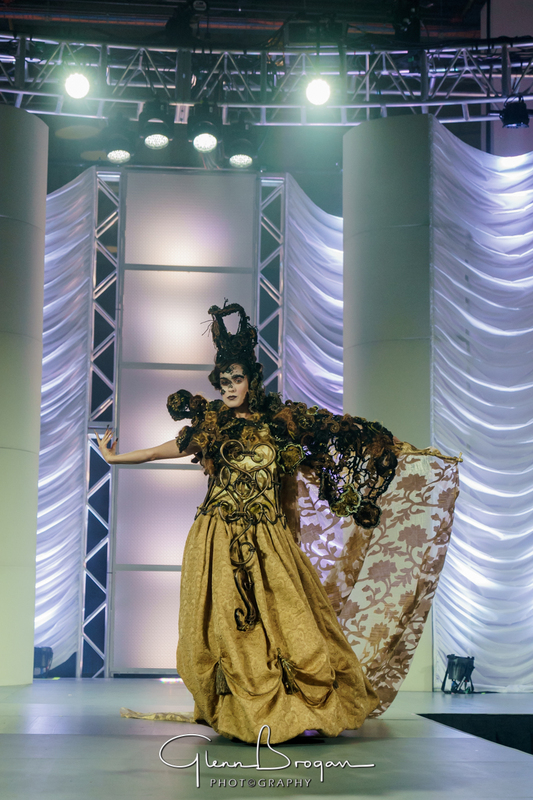 The nature of the outfits were opulent in their colors, fabrics, and design and suggested a feeling of royalty. 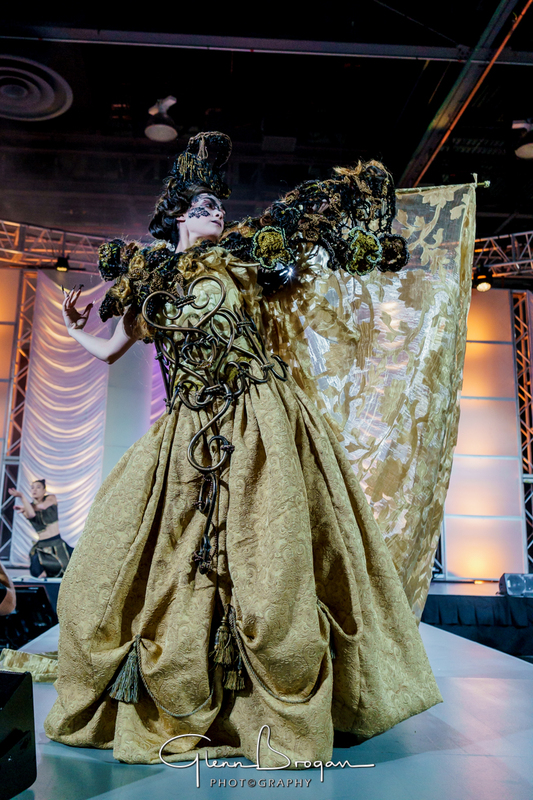 It was almost as if the designer was trying to unleash the inner queen or goddess within the individual. 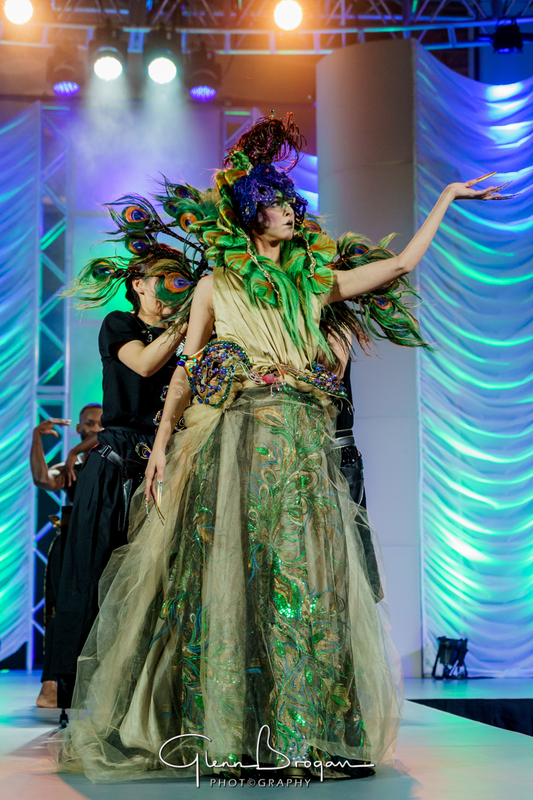 The model’s gestures also suggested strength, power, and confidence. 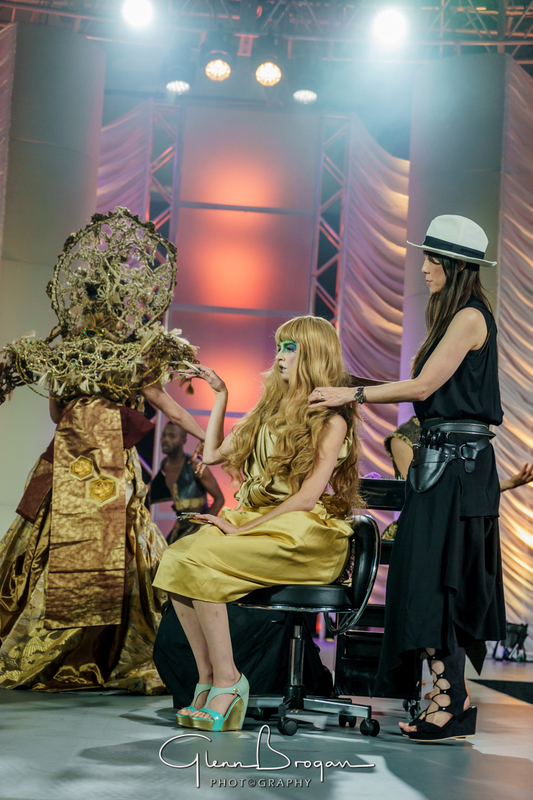 They sat down in one mode but got up in another, as if a new being emerged at the end of the transformation. 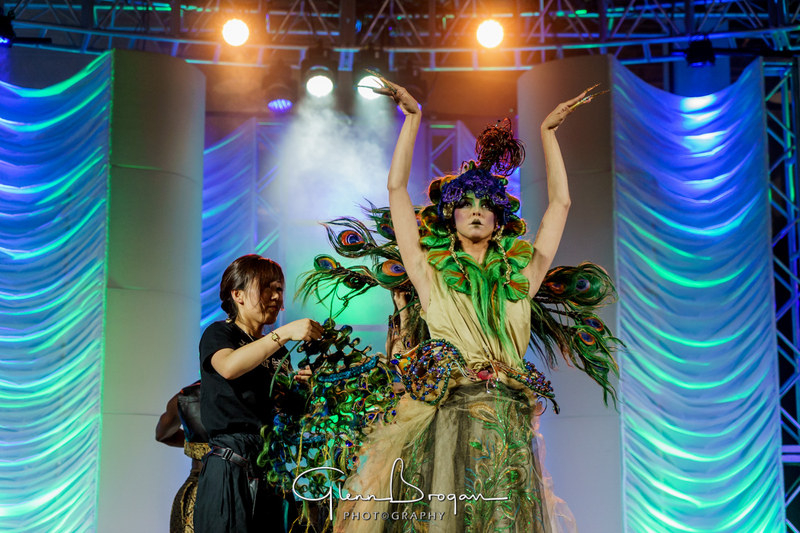 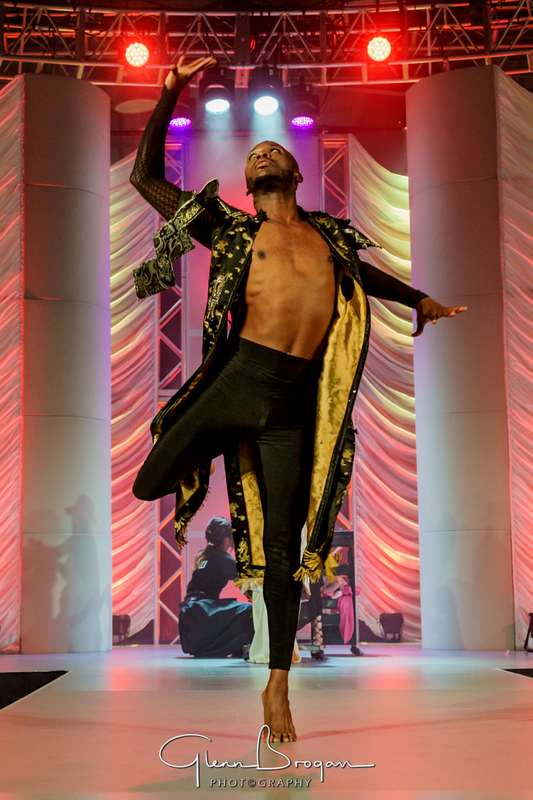 The Cirque du Soliel performers helped with not only the excitement of this performance, but also seemed to take on the role of entourage to the new evolved Goddesses. 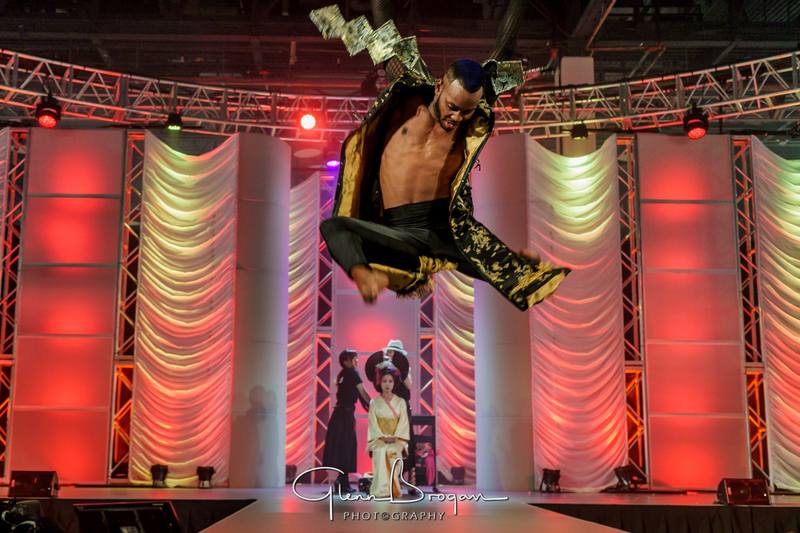 Below are a selection of images from this magnificent show that I was honored to both witness and capture. 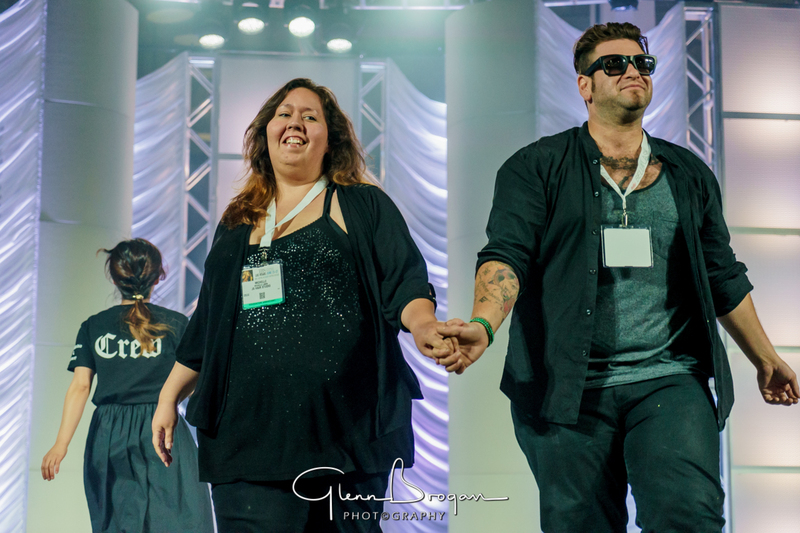 Glen, thank you so much for your generosity of spirit. 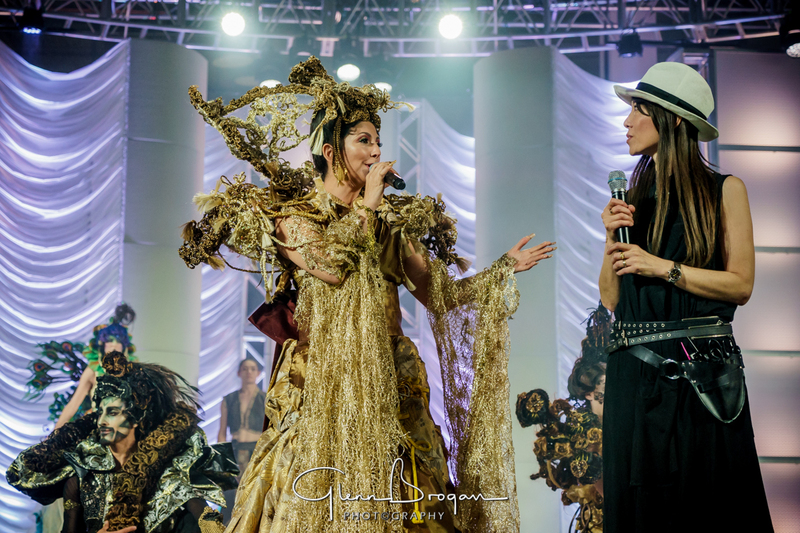 It was a pleasure to sing and share my music with Lisa and with these artists in front of all of you.